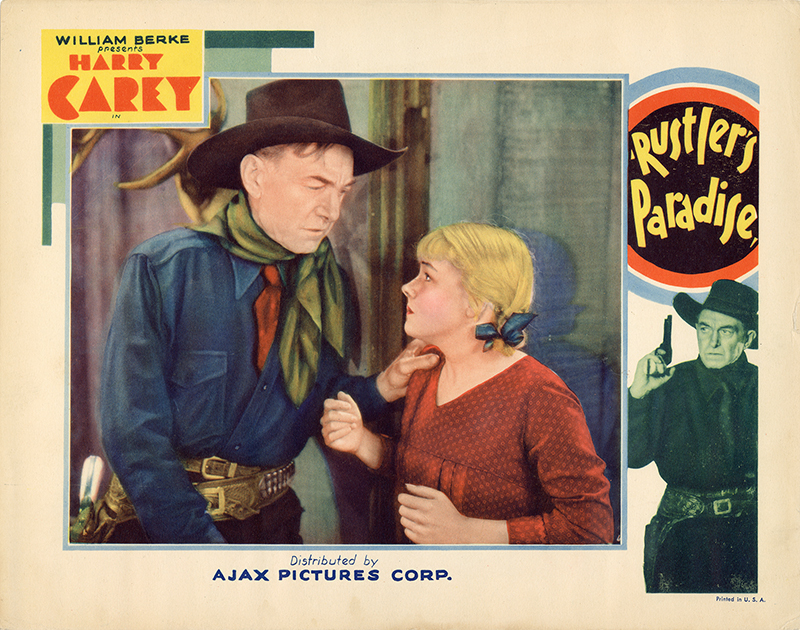 SCVHistory.com LW3174 | Film-Arts | Harry Carey Sr. Stars in 'Rustler's Paradise,' 1935. Saugus Rancher Harry Carey Sr. stars as Cheyenne Kincaid in the 1935 William Berke production of "Rustler's Paradise," with Gertrude Messinger (shown) portraying his daughter, Connie. We don't know where it was filmed. 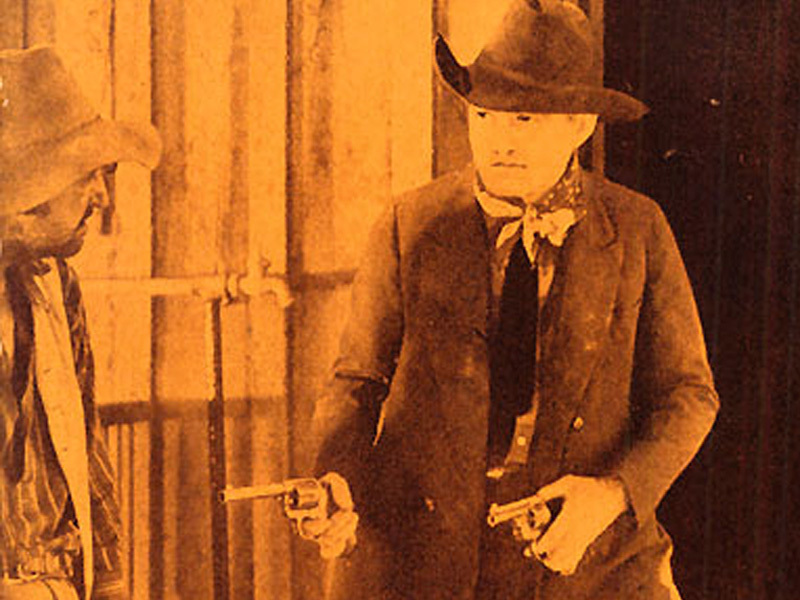 "Rustler's Paradise" is written by the prolific screenwriter Harry L. Fraser, filmed by Robert E. Cline and edited by Arthur A. Brooks. Routing out the cast are Edmund Cobb, Carmen Bailey, Theodore Lorch, Roger Williams, Chuck Morrison, Allen Greer, Chief Thundercloud, Slim Whitaker Jimmy Aubrey, Barney Beasley and Tex Palmer. LW3174: 9600 dpi jpeg from original photograph purchased 2018 by Leon Worden.